The president’s lack of ideology means he’s driven by a craving for the approval of others, as his airstrike in Syria showed. The president who proclaimed that he was a rock, he was an island, sure seems to be shifting a lot. Donald Trump has now flip-flopped on Chinese currency manipulation (he no longer believes it’s happening); North Korea (he now says the Chinese don’t have the power to oust Kim Jong Un); Syria (Bashar al-Assad must now go); chemical-weapons use (Assad is now a “butcher”); the Export-Import Bank (he suddenly favors it, after a campaign spent opposing it it); NATO (it’s no longer “obsolete”); and Fed chair Janet Yellin (he once thought her a nefarious operator; now he thinks she’s great). 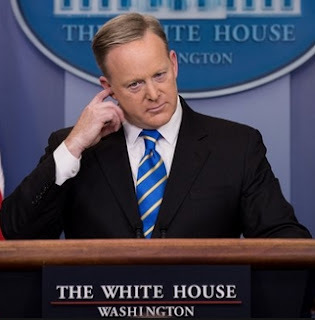 White House press secretary Sean Spicer, when asked recently to explain all these dizzying about-faces, said, “If you look at what’s happened, it’s those entities or individuals in some cases — or issues — evolving toward the president’s position.” In other words, reality changed to reflect Trump, as the planets circle the sun.